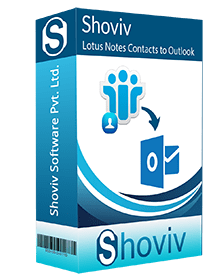 Shoviv for Lotus Notes Contacts to Outlook Converter provides a proficient way to convert contacts from IBM Notes (former Lotus Notes) Address Book to MS Outlook PST file. 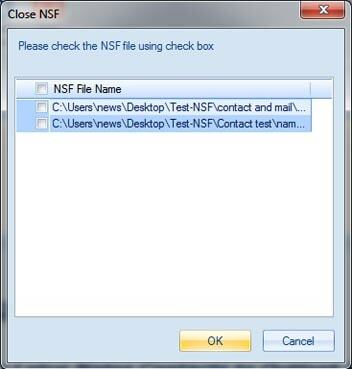 One can also import your contacts from ‘names.nsf’ file to MS Outlook. 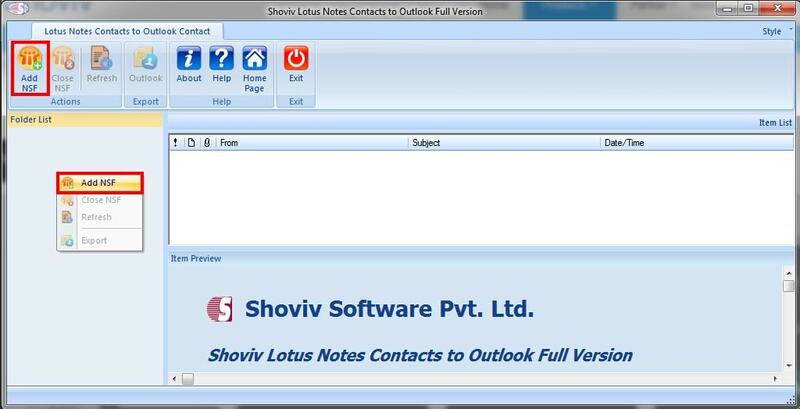 Trial version of Lotus Notes Contacts to Outlook Converter software is available and can be downloaded free of cost by clicking on ‘Download’ button. The freeware will convert first 25 contacts from each existing folder from the names.nsf to MS Outlook PST format. 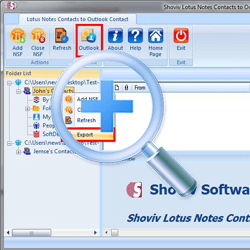 You can test the features and functional procedure of the Lotus Notes Contacts to Outlook converter tool without investing in it. Once you are satisfied, click on ‘Buy Now’ button to get the licensed version of the tool. *Free Download allows to convert & save 25 items/folder from Lotus Notes Contact to Outlook. User can add multiple names.nsf file to convert nsf contact into Outlook contact. Software will show all contact items in selected folder. One can check the contact item properties in item preview section. User can add multiple names.nsf file from Lotus Domino. 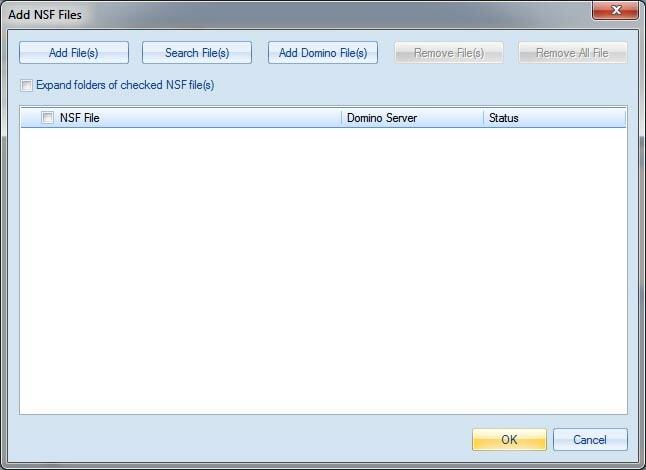 Apart from this, user can export Lotus domino name.nsf file into Outlook contact. 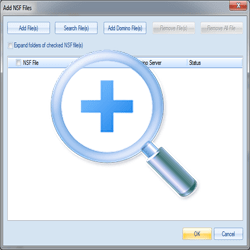 Search NSF File option helps to Search NSF Files from Hard drive. 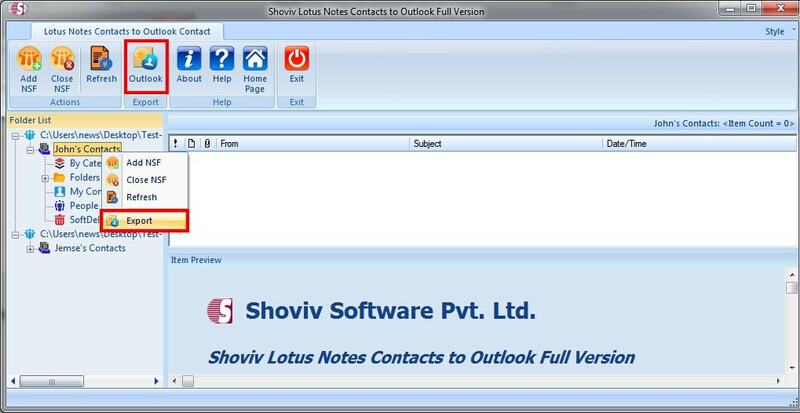 Lotus Notes contacts to Outlook converter tool is programmed to export all integrated details of every individual contact from names.nsf file to MS Outlook PST file. 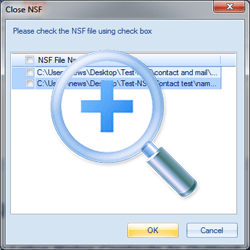 The advanced technique results in maintaining the properties and attributes of NSF Address Book. Lotus Notes contacts to Outlook converter software effortlessly migrates entries contacts from multiple NSF files to single PST file. No data is compromised while converting contacts from multiple NSF files to single PST. It has two options to merge NSF contacts: a) Export on Existing PST or b) Merge NSF file in Single PST file. 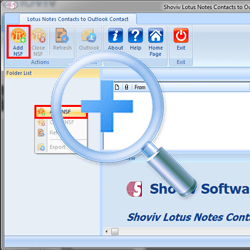 Lotus Notes contacts to Outlook converter tool enables converting multiple contacts from names.nsf file to MS Outlook PST file in a single attempt without compromising any of its attributes and properties. The software exclusively offers storing converted names.nsf contacts to new PST or existing PST file. 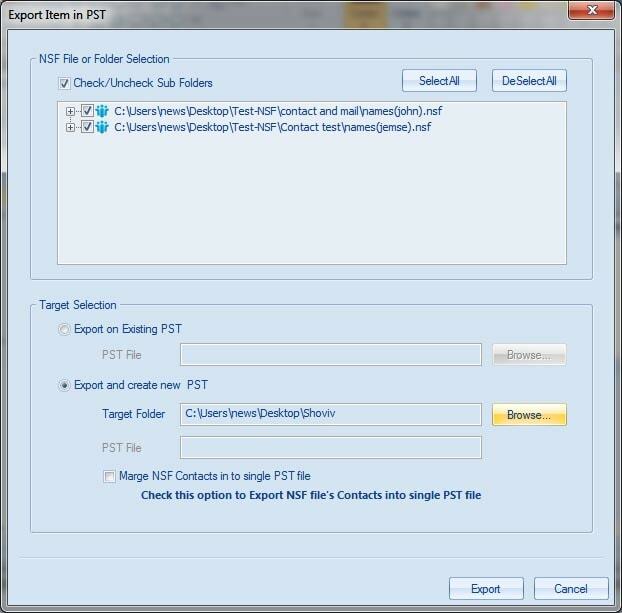 To save the contacts to new PST, make sure that you provide accurate folder path where the desired file is stored and select the correct file. Using this feature, user can preview all the details of names.nsf file contact items. Once you click on the names.nsf file, Notes Contact to Outlook converter will display all its contacts in a list. Click on individual contact shows all contact property on item preview section. Graphical interface of Notes Contact to Outlook converter makes it easier to convert contacts from NSF file to MS Outlook PST. There’s no technical expertise required; however, one can refer to the “product’s user manual” for hassle-free operation. Can I find stored contacts alphabetically in a resultant file with the tool? Yes, the Lotus Notes Contacts to Outlook Converter tool stores contacts in alphabetical order and provides organized storage to your contacts. You can find any particular contact just by clicking on the corresponding alphabet. 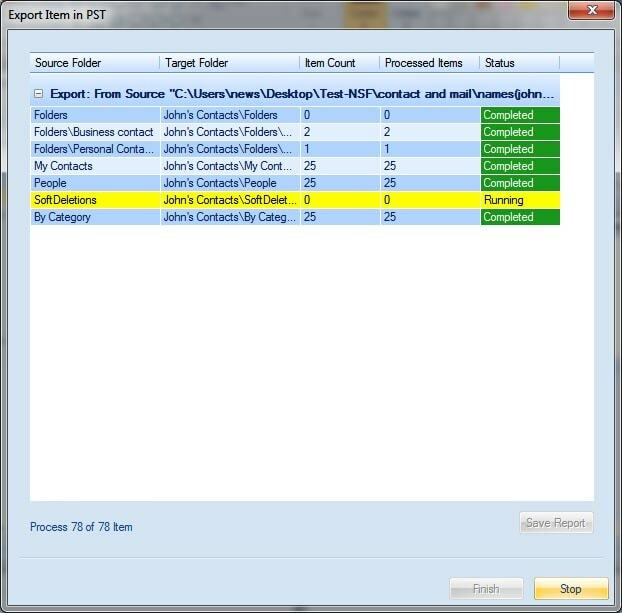 Does this tool affect the attributes of the contacts, afterward they are converted from NSF to PST? There is no chance of changing or alteration in the data or attribute and corresponding properties of names.nsf contacts. Lotus Notes Contacts to Outlook Converter software is programmed to manage the integrity of all the contacts during the conversion process. Is it possible to convert bulk contacts from multiple names.nsf files? Yes, the tool effortlessly converts bulk contacts altogether from Lotus Notes Address Book to MS Outlook PST. The software does not have any limitation on the number of contacts conversion in a single attempt. Important- To convert bulk contacts to a single PST file from multiple names.nsf files, make sure to select the checkbox corresponding to ‘Export contacts to a single file (Applicable only if you are exporting multiple names.nsf files)’. Does this tool support all Lotus Notes version? Yes, this awesome tool support to Lotus Notes v9.0 and all the lower editions. What will be the format of resultant PST file? 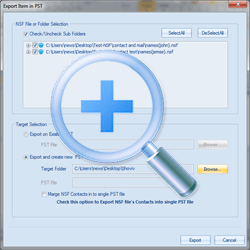 Afterward conversion of OST file, the tool creates UNICODE PST that can be imported in all of the latest versions of MS Outlook including 2003, 2007, 2010 & 2013.